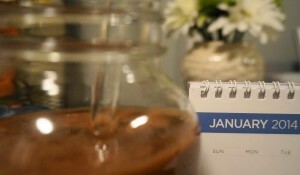 Seems I’m tossing back new renderings of my morning green smoothie with abandon these days. This little bit of early morning ‘je ne sais quoi’ quite often sets the stage for a great day. Yes. There’s no doubt that I find pleasure in the smaller things in life. And so let me share this tidy and tasty green brew that made my sun shine on this rainy morn. This is a riff on one of the Incredible Smoothie’s (www.incrediblesmoothies.com/) recent concoctions. 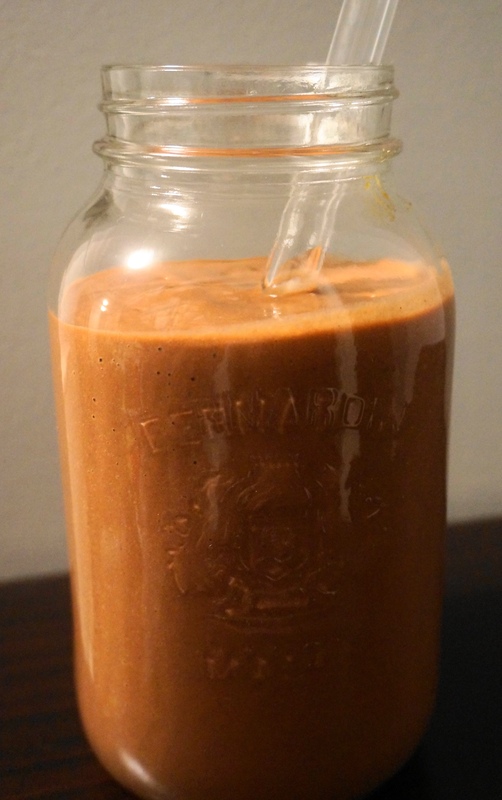 Tracy, the site’s guru, is posting a smoothie recipe daily for 30 days. Very, very nice. 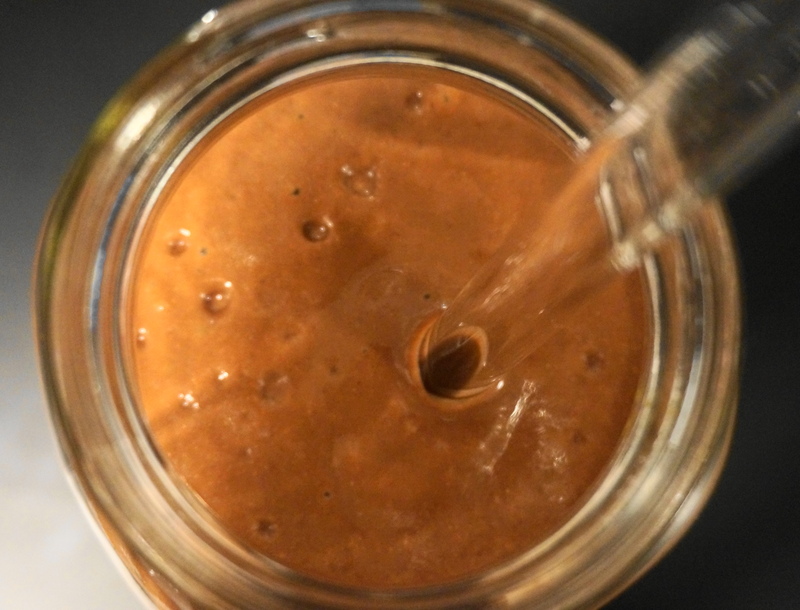 While I think she has some amazingly delicious and undoubtedly healthy smoothie recipes, I have tweaked a few to ensure a more balanced nutritional profile, without sacrificing flavor. One of my cardinal rules is to ensure that there are plenty of greens and alkaline-forming foods in the finished product to avoid the dreaded blood sugar spike, and to sidestep setting an acidic stage for the day. This was dreamy, creamy, and tasted just like a raspberry-flavoured chocolate bar. Just lover-ly. And another thing. 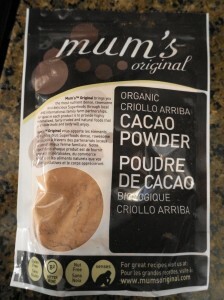 You really ought to invest in a bag of raw cacao powder. It’s pricey but a little goes a long way on the quality, flavor and health scale. 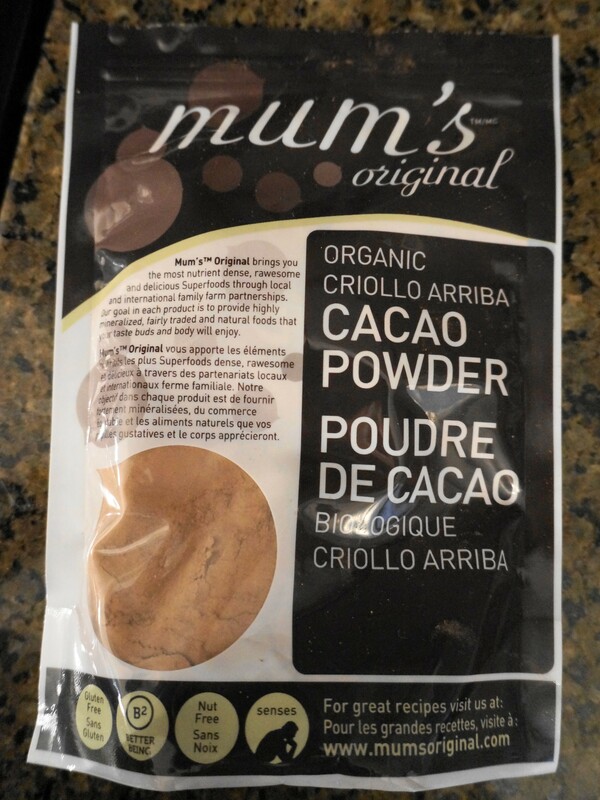 While there is definitely some interesting online debate regarding raw cacao powder vs cocoa powder, it appears that raw cacao powder stands out as the healthiest, most beneficial (highest in antioxidants) of the powders, followed by natural cocoa and finally, Dutch-processed cocoa. That said, you reap the majority of these health benefits by eating the powder unheated (i.e. in a smoothie or other raw food dessert, for example). The antioxidant activity is greatly reduced by high temperature. If you’re planning to bake, it is in your best interest to save some pennies and use a good-quality natural or Dutch-processed cocoa.